HBO GO is quickly gaining ground on Netflix as a must streaming service for our wireless devices. Especially since it's the only way you can watch TV shows like Boardwalk Empire, Game of Thrones, and Veep, since Netflix and Google Play do not offer them, and there is no Android app for Android Instant Video playback. The problem is, unless you have a Kindle Fire, your Nexus 7 (or any other tablet) is locked out from even downloading the app. Today, I'm going to show you how to trick the app into thinking your Nexus 7 is a Kindle Fire, and in no time you'll be watching your favorite episode of The Sopranos or Six Feet Under. You no longer have to use this workaround to install HBO GO onto your Nexus 7 tablet—you can just download the official HBO GO app from Google Play, which now supports most Android devices running 2.2 and higher. Your device is not required to have root access for this installation, so don't worry about doing anything too difficult. 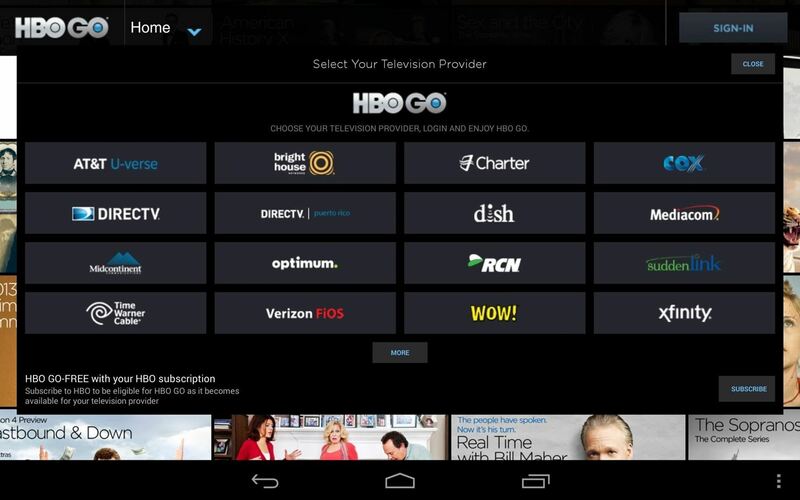 However, you will need to have cable and a subscription to HBO in order to use the HBO GO app. Since we're getting the HBO GO app from somewhere besides Google Play, we'll need to allow third-party installations on your Nexus 7 tablet. Head to Settings -> Security and enable Unknown Sources. 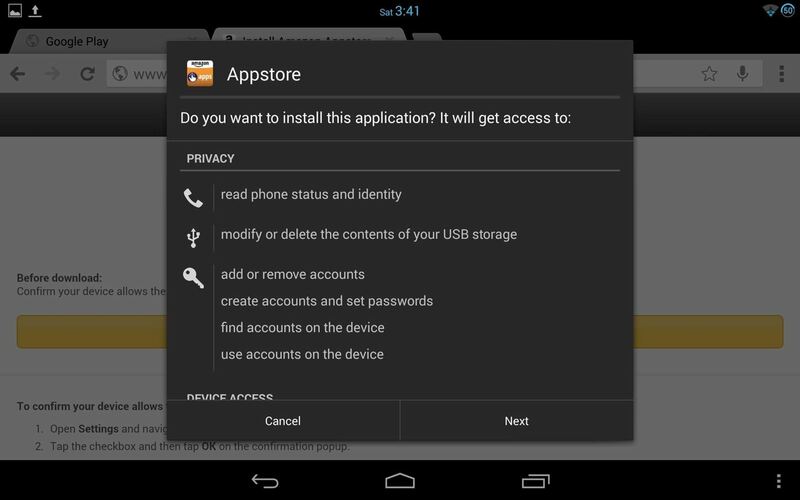 Before proceeding with Step 3 and 4, please make sure you are logged in to your Amazon.com account in Chrome or another web browser on your Nexus 7 tablet. Before we can download the HBO GO app, we need to get the Amazon Appstore installed on our Nexus 7 tablet. Head over to this link and tap on the yellow "Download the Amazon Appstore" button to download the APK file. After it finishes downloading, tap on the APK file in your Notification tray to start the installation, then follow the on-screen prompts to install. 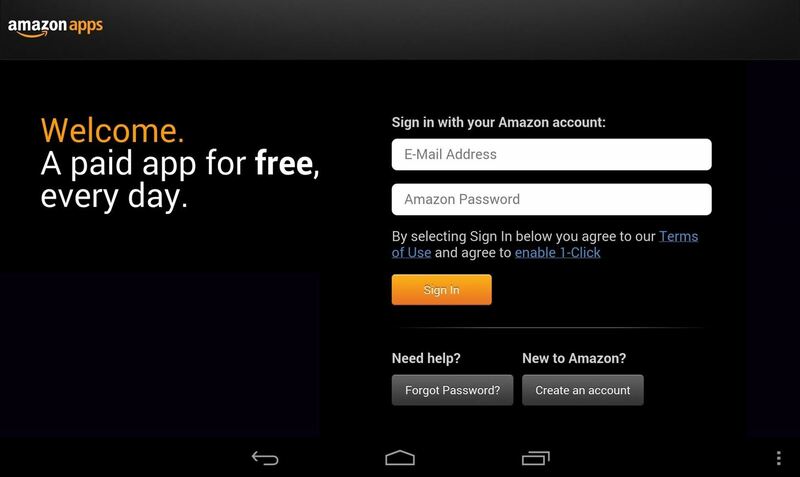 Once you've got the Amazon Appstore installed, go ahead and sign in directly on the app. NOTE: If you try to download the HBO GO app first and you don't have the Appstore installed, it will force you to do so first. Now, go back to Amazon in Chrome and "buy" the HBO GO Kindle app (don't worry, it's free). Simply head to this link and select "Get Now with 1-Click" on the right of the page, and follow the on-screen instructions to add the app to your account. 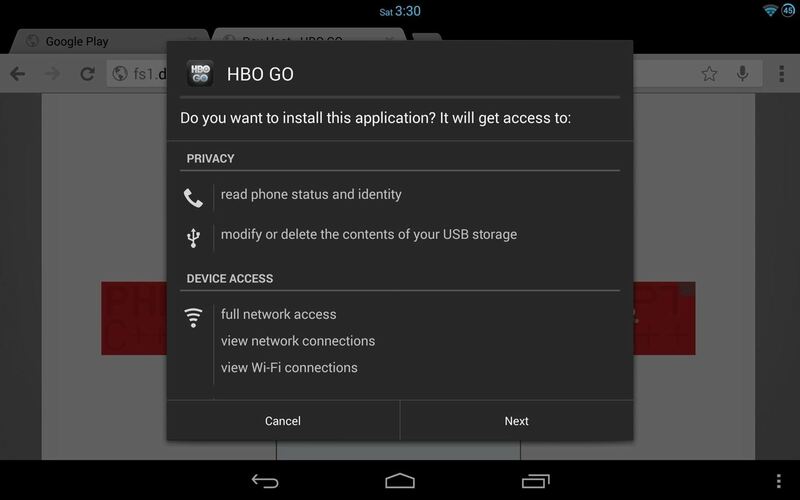 This will not install HBO GO on your device. 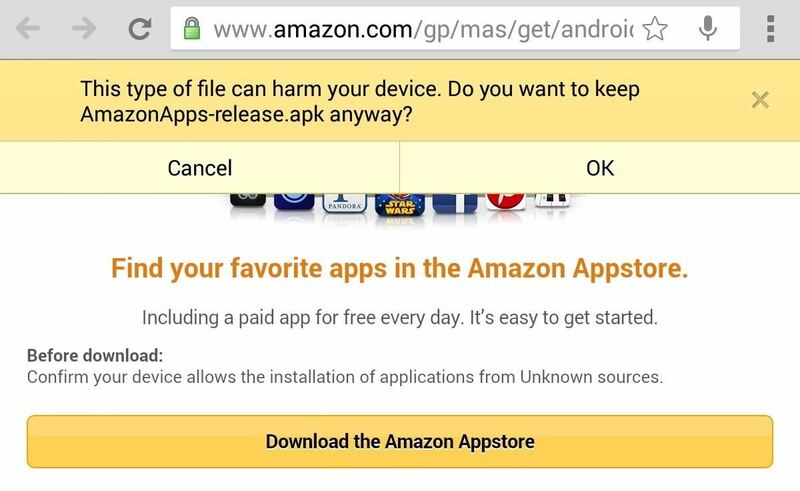 It will only load it to the "Cloud" tab in the "My Apps" section of the Menu in the Amazon Appstore app. If you try to download it from there, it will tell you that it's not compatible. Now, uninstall any version of HBO GO you may have on your device (you shouldn't have any yet), and install the pulled APK from the Kindle version right here. After the APK downloads, tap on it in the Notification tray and proceed to install. NOTE: HBO GO will not work unless you have the Amazon Appstore app installed and you're signed in, which is why we can't just download the modded HBO GO app and that's it. Now, simply fire up the HBO GO app, log in with your service provider, and BAM—you're done. Enjoy your dragons and Kenny Powers! Did this work for you? Let us know in the comments below. Followed your guide installed- force closes "we're sorry an error has occurred" when I press play. Ok let me look into that and get back to you. Everything worked great until I tried to sign in with my provider Cox. The sign in box is too small to access the password section and it won't let me scroll within it or enlarge the box. I selected all the other providers and their sign in boxes don't have this problem. What to do? Does this happen in both landscape and portrait mode? I got the same error as Joseph, though mine does not force closed, it keeps trying to load without success until I exit out. 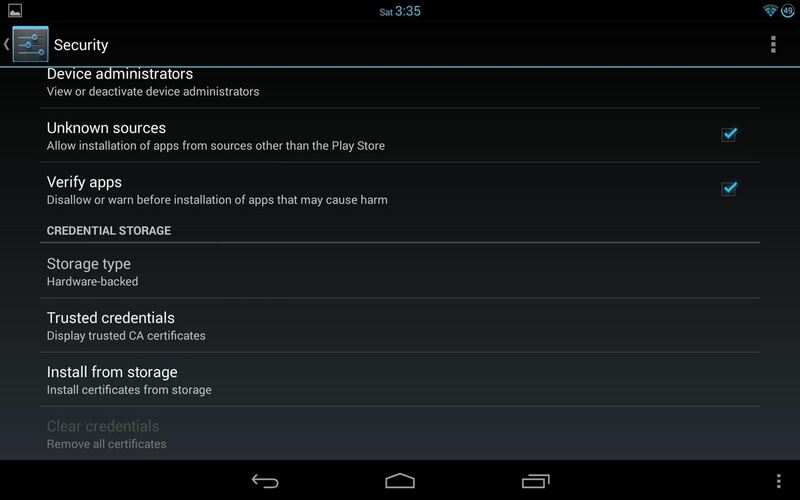 ATTENTION: It seems as though HBO Go does not support the latest version of Android (4.3). Unfortunately for us N7 owners, if you are on the latest update, the app will not work. HBO has stated they are working on a fix, but it has not yet been implemented. Sorry guys!! I'll update the article when the app is ready for use again.